Olxam » GATE » Can I apply GATE in different branch than B Tech ? 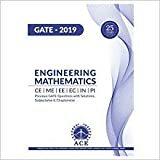 Can I apply GATE in different branch than B Tech ? “Can B. Tech. students change their branch in GATE exam ? Every year in the month of January-February GATE (Graduate Aptitude Test in Engineering) is conducted by IISc and 7 IITs. One who want to take admission into IISc or any IIT or any other top college of National & State level need to qualify GATE. 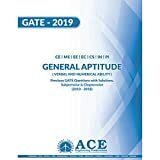 Nowadays GATE score is also useful in selection in top PSUs of India like ONGC, NTPC, IOCL, PGCIL etc. These all PSUs provide good salary as well as good working environment. We have already written a post for a candidate who just completed his/her B. E. / B. Tech. and want to change his/her branch of engineering in M. Tech. course. Like one have more interest in Computer Science related course while studied Electronics & Communication during his/her B E / B Tech. So he/she just switched from Electronics & Communication Department to Computer Science Department and choose a sub group of Computer Science for his/her M Tech course. However a candidate is restricted in selection of a sub group of other branch of engineering. Other branch of engineering means except branch which he/she have studied during his/her B. E. / B. Tech. course. Must read : Can I study M Tech in different branch than B Tech ? One who prepare and attend GATE exam specially for get selected in PSUs have to prepare well and work hard for their final selection. There are many PSUs nowadays which are using GATE score card for the selection of engineer trainee, management trainee, graduate trainees & various other sort of posts. Candidate who score well & clear cut-off decided by PSUs, get a call from PSUs and primarily selected for PSUs. After being shortlisted on the basis of GATE score candidates have to qualify other stages of selection too like Group Discussion and Personal Interview etc. Through GATE 2015, more than 20 PSUs recruit engineers and for the year 2016 this count could be upto 30 or more. PSUs recruit engineers every year from different-different streams as per their requirement. There could be large number of vacancies for a particular branch of engineering while very less for other branch of engineering. So collectively total number of vacancies are huge for some particular branches, branches like Mechanical & Electrical engineering while vacancies are very less for branches like Mathematics, Mining, Production & Industrial Engineering. Every year many candidates are completing their engineering course in different-different branches. There is huge difference in total number of Govt.+PSUs jobs and total number of qualified candidates for some particular branches of engineering like Electronics & Communication, Computer Science, Information Technology etc. while it is comparatively less in some branches of engineering like Mechanical Engineering, Electrical Engineering, Instrumentation Engineering. Can I apply GATE in different branch than B Tech ? So that I can get selected in a PSU ? Here important point is that they need a candidate with both of these qualification matched correctly. When you will go through any notification of any PSU which recruit through GATE then you will find that they mention GATE paper for particular post as well as B. E. / B. Tech. degree for that particular post. Those both things match with applicant qualification then only applicant would be eligible for that particular post. We can understand this issue using any PSUs recruitment process. Here we are taking example of Oil and Natural Gas Corporation Limited (ONGC). From the above table we can easily understand that for being selected as Assistant Executive Engineer (AEE) of Electrical Engineering in Oil and Natural Gas Corporation Limited (ONGC) a candidate have to completed his/her B. E. / B. 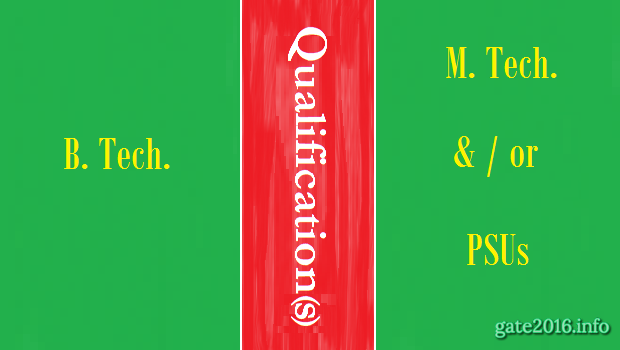 Tech degree in Electrical Engineering and also qualify GATE paper with the same subject paper. If he/she obtain marks in GATE exam greater than the cut-off decided by ONGC for this particular post they will call the candidate for Group discussion / Personal interview. This is true for all other PSUs too which are recruiting through GATE exam. Candidates can check all other PSUs selection criteria & minimum education qualification required for a particular post by visiting below link. There are many candidate who are confused in selection of GATE paper. Candidates want to switch from their graduation subject to other subject for getting admission into M. Tech. program as well as get selected in PSUs recruiting through GATE. There are some restriction in selection of different subject, subject other than your graduation subject for both M Tech program as well as for PSUs recruiting through GATE. We have explained both cases in detailed manner. ♣ Can I Change My B Tech Branch in M Tech ? ♣ Can I study M Tech in different branch than B Tech ? ♣ Can I apply for GATE Exam having a backlog in B Tech ? I have done my b.tech in instrumentation engineering. Can I apply for GATE in Computer Science and also M.Tech or PSU in Computer Science? hello sir…. i am doing my b.tech with computer science…. so can i choose only maths as my main subject in GATE???? Yes you can choose but this GATE core will only be suitable for M Tech not for PSU. Keep this in mind and than take final decision. sir, which kind of problem… i would face…. As you said you first did diploma in EE then Degree in ME. This can create trouble you not big so do not worry much. plz sir reply i am very confused.. Yes you can but you may face problem during your person interview(s) for M Tech / PSUs selection. Hello my name is javed shaikh and i have done my be in mechanical engineering but can i give gate exam for civil engineering. 1. You can do it but if you want to use this GATE score for certain purpose then you will get not much benefit of doing this. (1) PSUs only accept you as eligible candidate if you have done engineering in the same branch in which you have attended GATE. So you would not eligible for almost all PSUs. (2) For M Tech few institute may accept such combination but most of the institute not. So before doing this, you must check your requirement & other related details. I have completed B.Tech in Automation & Robotics can I appear in GATE exam yes? How can appear because Automation and Robotics are not there in GATE so how can apply. As Automation & Robotics Engineering is not listed in GATE 2017 paper list. You are free to choose any subject which is closely related to Automation & Robotics Engineering. Automation & Robotics Engineering is closely related to Mechanical Engineering. We have written a post specially for you please check below link. hi, i have completed engg in instrumentation n control but am appearing in Gate 2016 from ECE stream.Am i eligible to apply? If yes thru which field would you suggest ? what alll options are open fr me?? Yes, B.Pharm. students can apply. Better job opportunity and can do more higher studies. I am a BSc student and i want to do PhD in mathematics so can i give GATE after my MSc in mathematics and please can i get to know that what is the cut-off for PhD in mathematics in GATE exam. Yes you can do P HD after completing M Sc. We will updates cut offs institutes wise very soon. You please keep visiting our blog.